Domi Station is excited to announce Hannah King as its new Director of Entrepreneurship, beginning February 2019. Hannah has been a member at Domi since 2016 as an entrepreneur herself and has also been involved in a variety of entrepreneurship programs locally and nationally. She is the founder of Woven Futures, an ethical fashion company that links the world’s most remote artisan groups to the U.S. fashion market through sustainable supply-chains and fair-trade. “As an entrepreneur, Hannah brings a unique perspective to our entrepreneur development and incubation programs. We are excited about the plans we have laid out to scale up our programs, on top of the foundation of Domi’s work since 2014, and the opportunity to leverage the growing entrepreneurship ecosystem and partners in Tallahassee,” said Antonio Montoya, Domi’s Executive Director. Hannah has participated in Domi’s Get-Started Program, Innovation Park’s Entrepreneurship Excellence Program, and is a Future Founders Fellow - a competitive national fellowship based in Chicago that accelerates startups and develops founders around the nation. This past November, Hannah was named the winner for the GSEA Entrepreneurs Organization regional competition in Florida. Hannah’s extensive involvement in her venture and entrepreneurial ecosystems exemplifies her passion for the field and places her perfectly as Director of Entrepreneurship. “I first came to Domi in 2016 where I met other entrepreneurs who quickly became like family. I’ve seen the power of community that this space has, from meeting friends who taught me the basics of coding to having a sounding board when I needed it. That kind of culture kept me at Domi for years and is ultimately the reason I’m staying in Tallahassee; to keep fostering community and space for entrepreneurs to thrive.” Said, Ms. King. Hannah’s journey in entrepreneurship began in her home country Guatemala where she began Woven Futures after meeting several talented textile artisans. Seeing how unique their craft was, she began to search for ways to connect artisans to the U.S. markets while also helping them rise above poverty through fair and sustainable income avenues. She was awarded 1st Place Social Enterprise at the FSU InNOLEvation Challenge in 2016 and has continued growing her venture since. Domi Station is a non-profit coworking space and incubator with the mission of maximizing human outcomes through entrepreneurship and innovation. Domi is the home of entrepreneurs and innovators in the Tallahassee metro and is actively involved in growing the local startup community through supporting services, resources, connections, and community. For more about Domi visit domistation.com. Domi Station is excited to announce Yuh-Mei Hutt as the new Board Chair, beginning January 1, 2019. Yuh-Mei has served on Domi’s board since 2016 and has played a major role guiding the growth of the non-profit. She is also the President of Golden Lighting, a decorative residential lighting manufacturer that sells to lighting retailers across North America. “Yuh-Mei brings over 16 years of operational and strategic experience to Domi. She has an infectious enthusiasm for the entrepreneurial community. I’m excited to share that passion on the board,” said David Lawson one of the founding members and immediate past chair of Domi Station. She has been actively involved in the business community since 2006, including groups such as the Tallahassee Chamber, Jim Moran Institute, and Tallahassee Entrepreneurs Organization. In 2008, Yuh-Mei started a women’s CEO roundtable group, which is still active today. Domi Station just celebrated its 4-year anniversary last summer and had some great successes grow out of its programs: DivvyUp Socks, Cuttlesoft, Vale Food Company, Catalina Cafe to name a few. In 2018 alone, companies that have participated in Domi’s programs have created 46 jobs, generated over $4MM in revenues and attracted over $2MM in investments. And 2019 is shaping up to be even better. Now it’s time build on that track record, scale Domi’s programs, and spread the word. “We have great momentum right now. Our facilities are filling up and our entrepreneurs are demanding more. We are strategizing ways to support our members’ current and future needs and Yuh-Mei’s leadership will be crucial in this process,” said Antonio Montoya, Executive Director of Domi Station. Yuh-Mei will work alongside fellow board members Reis Alsberry, Director of Technology Trasnfer and Export Control at Florida A&M University, Christic Henry, President and Managing Broker at Kingdom First Realty and President Elect of Council of Neighborhood Association, Jake Kiker, Co-Founder of Domi Station and Partner at Williams Gautier, David Lawson, Co-Founder of Domi Station and CEO of NewSci and David White, Partner at Carr Riggs & Ingram. Co-working member, Mark Newell, shares his experiences at Domi Station and how it helped him find work-life balance. Domi Station was selected to participate in the fourth iteration of Pitch Distilled - a multi-city competition sponsored by Gentleman Jack Double Mellowed Tennessee Whiskey and WIRED Brand Lab. The incubator has been challenged to formulate a pitch and idea that resolves a sustainability issue and represents them at a national scale. Thanks to Domi Station’s strong community ties, the incubator will put together a team that best represents Tallahassee with the support of local partners like Leon County, Florida A&M University, Sustainable Tallahassee, Florida State University, and the City of Tallahassee. On Thursday, January 24th at 5:30pm, the incubator will be hosting an Information Session at their facility (914 Railroad Avenue) to go over the competition, present existing sustainability problems in the local area, and begin the team selection process. This event is free and open to the community. The Pitch Distilled winner will be selected by the public through a national, online voting process and the first-place team will receive a monetary award and branded feature on WIRED.com. Other competing cities include Oakland, Philly, Houston, Denver, Detroit and Atlanta. "We're thrilled to bring Pitch Distilled back for the fourth year to a new group of markets across the US," said Ben Osei, Gentleman Jack Associate Brand Manager. "Our founder Mr. Jack Daniel instilled a passion for sustainable stewardship and environmental protection that still exists within our distillery today. Our hope is that this program will inspire our friends and partners to do the same." New this year, each submission will be uploaded to https://www.wired.com/pitchdistilled/, and viewable to the public—who will ultimately vote on the winning pitch in March 2019. Each team is competing for a sum of $10,000, an interview and professional photoshoot with a WIRED Brand Lab editor on WIRED.com, and a reception featuring a special keynote speaker at their incubator location. Pitch Distilled is also proud to partner with actor, filmmaker and social advocate, Adrian Grenier, who has spent much of his career supporting organizations focused on habit-changing education and nature conservation. As part of the partnership, Grenier will serve as keynote speaker at the winner reception and support the competition on social media. "I'm pleased to partner with Wired and Gentleman Jack for the fourth installation of Pitch Distilled," said Grenier. "This year we're empowering local communities to tackle an important issue and I look forward to reviewing the submissions and casting my vote." Pitch Distilled kicks off January 17 on https://www.wired.com/pitchdistilled/. For more information on Pitch Distilled visit https://www.wired.com/pitchdistilled/. For the latest news on the Pitch Distilled, including event dates, location, and updates follow @WIREDInsider on Twitter, Facebook, and Instagram. Officially registered by the U.S. Government in 1866 and based in Lynchburg, Tenn., the Jack Daniel Distillery, Lem Motlow proprietor, is the first registered distillery in the United States and is on the National Register of Historic Places. Jack Daniel's is the maker of the world-famous Jack Daniel's Old No. 7 Tennessee Whiskey, Gentleman Jack Double Mellowed Tennessee Whiskey, Jack Daniel's Tennessee Rye Whiskey, Jack Daniel's Single Barrel Tennessee Whiskey, Jack Daniel's Tennessee Honey, Jack Daniel's Tennessee Fire, Jack Daniel's Sinatra Select and Jack Daniel's Country Cocktails. Today, Jack Daniel's is a true global icon found in more than 170 countries around the world and is the most valuable spirits brand in the world as recognized by Interbrand. Your friends at Jack Daniel's remind you to drink responsibly. Domi is a non-profit startup incubator and coworking space with 125 active members. We offer programs, resources, and events that help entrepreneurs start and scale sustainable companies. Our regional network enables us to match our members to seasoned mentors, investors, and industry advisors. Domi’s incubators programs educate and empower early-stage entrepreneurs. The holidays are coming up… Here’s a list of great gifts to get for your loved ones via startups straight out of Domi! Get Started is a program designed to help our local startup community grow. Through our cohort, we help startups test their ideas and bring them into reality. Get to know the companies that made up our Spring 2018 Cohort! Over the past few months, our team has been meeting up with local restaurants in hopes of getting to know them, their work, and their mission like never before. We want to highlight what makes them special in our community and with #TheNeighborhood, we did just that. Here’s PART TWO. Over the past few months, our team has been meeting up with local restaurants in hopes of getting to know them, their work, and their mission like never before. We want to highlight what makes them special in our community and with #TheNeighborhood, we did just that. To our friends, partners, and members--thank you all for your support as we have waded through a time of transition. We are excited to announce some important news. After interviewing candidates from across the Southeast, our Board of Directors has selected Antonio Montoya to lead Domi forward as our new Executive Director. Antonio and his family will relocate to Tallahassee from Huntsville, Alabama, a significant decision that we feel speaks both to Antonio’s commitment and the attractive energy of our community’s entrepreneurial ecosystem. There is so much momentum right now--if you haven't had a chance to read our look back on all that's happened over the last few years, please give it a read here. Antonio will work with Domi's team, Board of Directors, and members to build on the foundation that has been laid. “I am very excited to join Domi's team and continue the great work started by Micah and Lucas," said Montoya. "I believe that Tallahassee is well on its way to create a truly inclusive and diverse startup community, I see Domi as a key catalyst for it, and I can’t wait to add to this effort leveraging Domi’s resources as a convener, incubator, and accelerator." Antonio did not just meet the qualifications our Board of Directors were searching for in a new Executive Director--he exceeded them. Montoya last served as Executive Director of HuntsvilleWest, a high-impact coworking space serving the greater Huntsville area. Prior to HuntsvilleWest, Montoya made significant contributions to the growth of the startup ecosystem in North Alabama launching a broad range of initiatives under the Rocket Hatch umbrella, a non-profit entrepreneur support organization he co-founded. He has also supported state and national efforts including Alabama Launchpad and the SXSW Accelerator, and is a member of the Startup Champions Network, a national organization focused on innovation ecosystem building. Prior to Rocket Hatch, Montoya held executive positions at several global technology companies and has been involved in multiple startup ventures since his college days. David Lawson, the Chair of Domi’s Board, was impressed by Antonio’s deep background in tech, business development, and building a startup community in another midsize Southeast city. Our incoming leader will hit the ground running over the next few weeks, officially taking over the role of Executive Director on April 1st. This timeline leaves our team multiple months of crossover before Lucas departs for Phoenix in late June. Please join everyone at Domi Station in welcoming Antonio and Ana to our community! To find out a little more about their impressive work in Huntsville, click here! A few years ago, when I was first exploring Tallahassee's seven hills, before I’d figured out the difference between Tennessee and Mahan or, more complicated still, Macomb, Railroad, and Wannish, I wrote an article about the room by the railroad. I wrote about Tallahassee as I saw it, through the eyes of a newcomer, someone who had moved from a metro of 4,500,000 to a metro of 370,000 while my wife took on the challenge of earning a Phd. I didn’t know it at the time, but I was writing about the room where I’d spend the next four years of my life, working days and nights and weekends now and then to help people believe in things bigger than themselves. Fast forward and Domi, true to its name, has become a home. Like others searching for a like-minded community in a new place, I found a family here. I learned to lead here. Indeed, I grew up here. It has been my greatest honor to help shape and execute Domi’s mission. The results have created a strong foundation for all that comes next. Since our opening, Domi member companies have collectively raised $5.4m in investment and grants, fueling this city's growing fire of innovation and entrepreneurship. Notably, Domi began as a meetup group, gaining momentum by gathering people. We've kept that going each and every year, organizing or hosting 465 events at Domi Station since the doors opened. From data science meetups to hackathons with Visit Tallahassee and Florida A&M, these events engaged and, I can only hope, inspired thousands of North Florida residents of all ages, backgrounds, and interests. Without a doubt, Tallahassee's visibility as a startup community has increased, earning shoutouts as a Top 50 City for Entrepreneurs and strengthening connections to major startup hubs in places like Raleigh/Durham, Atlanta, Chattanooga, and Miami. Over the last few years, Domi's website alone has collected over 163,000 views. Don't let anyone tell you different: there are eyes on this city. People have grown more confident, more empowered, and fallen more in love with Tallahassee. Even those who have left, or will leave, often feel a certain debt to this community because it believed in them, embraced them, and let them have an impact. If I had to list all of the companies and entrepreneurs creating that impact, this post would go on and on. Amazingly, Domi's incubator programs--flagships like Get Started, TCAP, and PowerUP--have engaged with 113 early-stage teams since we opened our doors in 2014. Every one of them was important to the movement. More than a mere business incubator, I believe Domi has become a place where Tallahassee challenges itself and its history, however unjust, to go above and beyond, to defy stereotypes, and to become a community worth calling home. I'm most proud to say that over the last two years, 50% of our Get Started participants were people of color and 40% were women. Domi has become a place where people who wouldn’t have otherwise met meet. And perhaps that, however humble, is actually its most notable achievement. Thank you to Micah, Jake, David, and John for welcoming me to the family. Thank you to our Board of Directors for your mentorship. Thank you to Sabrina and Dominick for having my back. Thank you to our sponsors and partners who believe, organizations like Leon County, Florida A&M University, and Florida State University. Thank you, Tallahassee, for letting me be a part of this amazing moment in your history. I cannot wait to follow along as you continue to build your future. I’ll close the same way I closed that first article because, in spite of all the metrics and momentum of the last few years, some fundamental things remain true, and more work remains. After months of preparation alongside our Board of Directors, staff, and community partners, Lucas Lindsey will be stepping down as Domi’s Executive Director at the end of March. Lucas has played a core role in Domi’s operation and growth since our nonprofit first opened its doors almost four years ago. He was hired as Domi’s Community Manager in May 2014, serving as the organization’s first employee. In July 2016, Lucas was named Executive Director, marking the beginning of a phase we affectionately called Domi 2.0. Lucas plans to relocate this summer to Phoenix, where his wife has accepted a faculty position at Arizona State University. Returning to his roots in urban planning and real estate, he will be joining Venue Projects, a redevelopment practice active across Arizona. For Lawson and Domi’s Board members, the next steps are clear: Finalize the selection of a new Executive Director and execute a smooth transition. To that end, Lucas will remain available to the team as a consultant through June. If there is one thing that Hair on Earth would tell you in this very moment, it might just be their tagline: Stay Cute. Hair On Earth is a local hair salon that empowers you to be exactly who you are, inside and out. We explored what makes them go beyond a typical salon to make their customer experience impactful and give people so much more than meets the eye. This year, Hair on Earth celebrates 20 years of business, but it wasn’t always what it is today. The locally owned hair salon experienced a fundamental shift that forever changed the atmosphere into one of self-empowerment for stylists and customers alike. Their entrepreneurial story is not a traditional one, mainly because the current owners did not start the business. Hair on Earth’s CEOs, Will and Holly Galotti, took the reins just 10 years ago. Will Galotti started out at Hair on Earth as a stylist under its original management. After working there for several years, he began to notice a decline in the atmosphere affecting both the work environment and clientele. Rather than standing by and watching the business fail, he began working with his boss on revamping traditional methods and implementing new systems to improve the company. At that point, it did not take long for Will to become a partner and, in 2008, CEO, along with his wife Holly. With their fresh ideas and leadership, Hair On Earth became an eclectic space for hair stylists to grow as artists and customers to explore themselves in a salon where no haircut nor color is too out of the park. When the Galottis took over, the business model and work environment were restructured to include effective restocking systems, better work-home balance for employees, and active support for each individual as an artist. The creativity that now flows through Hair on Earth has formed an exciting, inspiring, and tight-knit team that continues to encourage each other’s ideas and creations. This culture shift produces an authentic atmosphere unique to the hair salon. They pridefully reject the toxic standards of attractiveness set by the beauty industry. Instead, Hair on Earth embraces everyone's individuality, believing they are already attractive. And that’s why when you walk into Hair on Earth the only thing that matters is that you “Stay cute”. We are proud to announce a new role at Domi Station: Entrepreneur in Residence. Dominick Ard'is, who previously served as our Director of Programs, will take on the title and take up the important responsibility of all that the new position means to us. After his years as both a Rattler and then a Seminole, Dominick spent time with Booz Allen Hamilton in Minneapolis, but he will be the first to tell you that while he was gone Tallahassee kept calling his name. Eventually, he found his way back home, ready to dive into the growing startup community and take on a leadership role at Domi Station. As our team and Board of Directors worked hard to spin up Domi 2.0, Dominick took the lead on implementing Get Started and PowerUP. The results speak for themselves. Over the last three cohorts, Get Started has served thirty-three early-stage startup teams, leading to the launch of companies like Fly Mouthwash, One Fresh Pillow, Footy Training, and more. Equally important, especially to established small businesses hungry to grow and innovate, was PowerUP, an intensive deep dive into the people, products, and processes of five local-area businesses. Thanks to the support of First Commerce Credit Union, PowerUP's first cohort included Catalina Café, Nic's Toggery, Secure Records Solutions, Chop Barbershop, and FL Aviation Center. First Commerce recently published a great set of testimonials from each participant that you can find here. The best entrepreneurs never stop creating, though. Even as he worked day and night alongside Domi's incubator members, Dominick found high-impact ways to stay active in the greater-Tallahassee ecosystem. Last fall, in partnership with the School of Business and Industry at FAMU, he launched ACT House, a leadership and startup house that gives three students one year to build and launch a technology product. His work made waves and turned heads--this week he and the ACT House team traveled to speak at Black Tech Week in Miami. Here at Domi, we're committed to a handful of simple things. Things like empowering early-stage entrepreneurs, building the most diverse startup community in the Southeast, and practicing what we preach by having our team members stay hands-on as creators and builders. Since we believe in those things, we want to put our money where our mouth is and create a system that allows talented entrepreneurs like Dominick to have an impact not just at Domi through the facilitation of programs but across the wider ecosystem as active founders. As Domi's inaugural Entrepreneur in Residence, Dominick will continue to play a central role at Domi architecting and managing flagship programs like Get Started, but he will also have time to plant more seeds in the ecosystem by working directly on startups like ACT House. Our team is really excited about this shift. We feel it illustrates our commitment to continuous improvement and the refinement of our approach, especially as Tallahassee's startup community grows and matures. But we're also excited to say that this announcement gets even better. 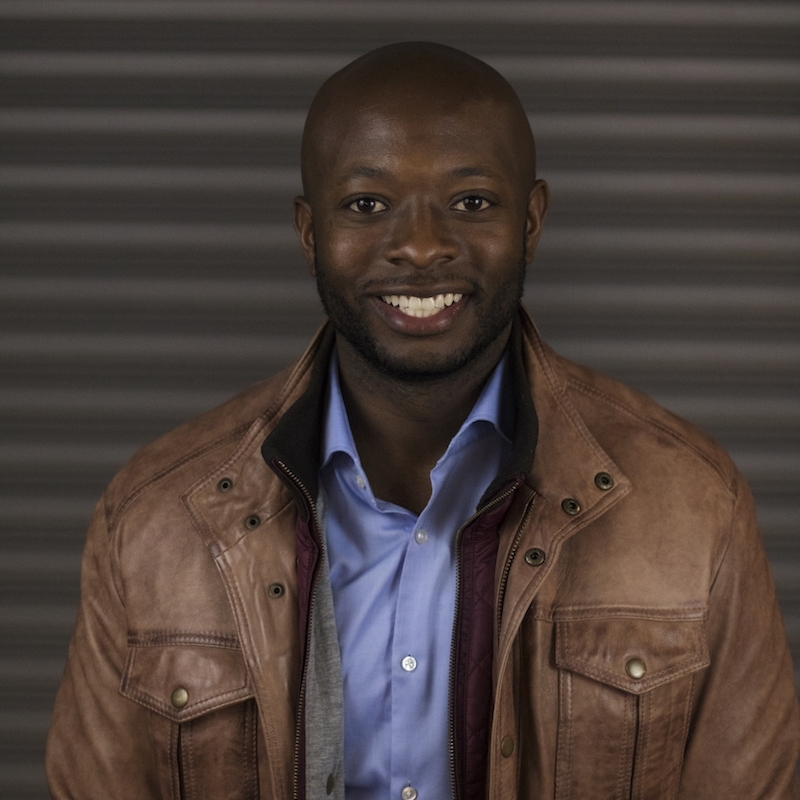 In addition to Dominick's continued leadership and hard work, Domi will be strengthened by the addition of Ido David, a former investment banking consultant at Barclays who will also join as an Entrepreneur in Residence and co-facilitate this Spring's Get Started cohort alongside Dominick. 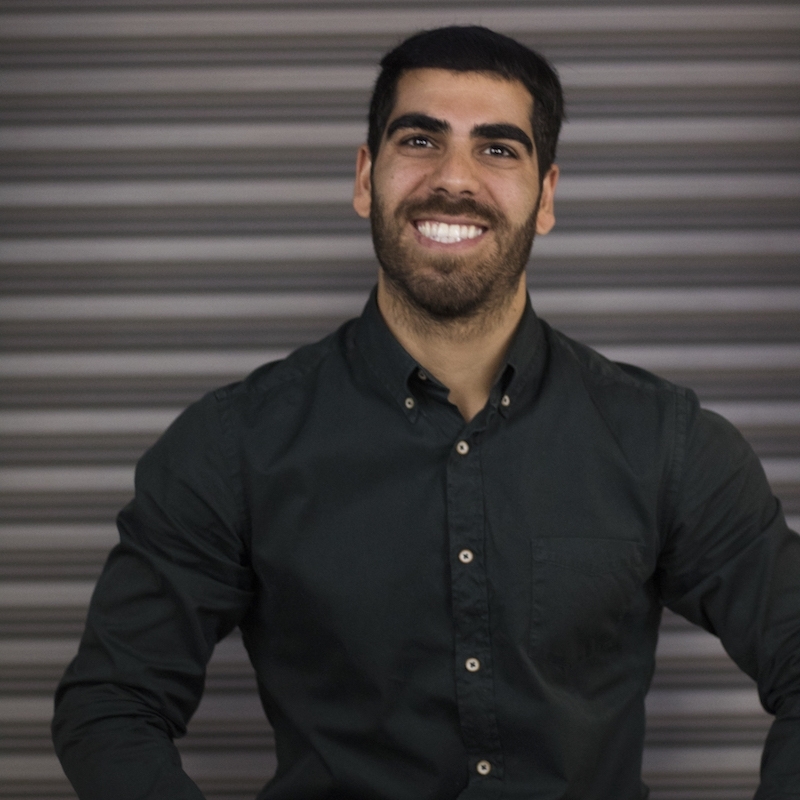 Ido has been in Tallahassee for just six months, but he hasn't wasted any time making an impact on the local startup community. You can catch him every Tuesday night at Domi Station, leading eight early-stage startup teams through the Spring 2018 Get Started program. If you are interested in starting a business, you can get on the waitlist for the Fall 2018 cohort by clicking here. Ido comes to Domi from Israel, a tech powerhouse known across the globe as a thriving entrepreneur ecosystem thanks to startups like Waze, Fiverr, and Wix. We are thankful to have Ido in Tallahassee, and fortunate to levergage his rich experience in high-growth investment banking. While at Barclays, Ido was active in assisting companies through mergers, acquisitions, and public offerings, so he adds a good deal of depth and perspective to the Domi team. Over the coming months, we'll share more stories about what Dominick, Ido, and all of this Spring's Get Started entrepreneurs are working on. If you’d like to follow along, please sign up for our newsletter. When Bryant Joseph and Connor Grady studied at Florida State University, they wanted one thing: for local food truck Kübanos to deliver their delicious Cuban cuisine in a convenient and cost-effective way. At the time, there was no service in Tallahassee that adequately tapped into everyone’s introspective longing for low-cost delivery from their favorite local restaurants. After Joseph and Grady graduated from FSU, they began building their concept and developed a concession delivery app which they presented to their friend Zach Zelner, CEO of Z Baked. The team fused Joseph and Grady's tech expertise with Zelner’s operations experience to create an independent, tech-based food delivery service called Penny Delivery! Aside from fulfilling college-day yearnings, Penny's main goal is to solve a clear problem: Tallahassee needed an efficient delivery service for non-fast food options. Penny Delivery is a service that delivers food from local restaurants like Kiku Japanese Fusion, Madison Social, Guthrie's, and Starbucks who typically do not offer delivery services. “We route orders very competently and our entire model is predicated on achieving a level of efficiency that is necessary for us to sustain what we do,” Joseph tells us. From their versatile experiences of living and operating here for a period of time, Joseph, Grady, and Zelner have gained a unique understanding of the geography and customer base in Tallahassee. The capital city serves as a testbed for exploring other opportunities in a market in which they have familiarity. The founding team constantly works to understand and meet the needs of the ever-evolving market. However, their eye remains focused on why they started in the first place. “It’s always good to solve a problem that you experienced first hand, that’s what happened with Penny Delivery,” says Joseph. Tallahassee can now order Kübanos for the fee of a penny. Next time you're hungry, treat-yo-self by eating out without going out. Order from Penny Delivery’s array of food and snacks at any time of the day. Companies interested in doing business with Penny may contact headquarters here. Stay hungry and check them out on Facebook, Twitter, and Instagram!